Have any of you ever read a really great book or watched a really great movie or heard a really great story? Now, what did that book, movie or story have that was so great about it? Maybe it had to do with some mythical place, or an incredibly interesting main character. Perhaps you were able to identify with it in some way. Something about that story drew you in. And I can tell you, that each of these stories has something very simple in common. They all have some sort of journey that you as the reader, watcher, or listener follow. It may be a journey to a long time ago in a galaxy far, far, away, to Hogwarts, Middle Earth, Narnia, Metropolis or Gotham. It might be a journey of self-discovery, or one where the main character saves the world. We are drawn into this story. We are drawn into the mystery. I have this map up here. It belongs to my Dad, and it had a prominent place in my home for most of my life. It’s a hand drawn map of Middle Earth, the world that J.R.R. Tolkien created for his famous trilogy, The Lord of the Rings. I grew up staring at it, memorizing the landmarks and physical obstacles along the way from the Shire to Mount Doom in Mordor. This is one of the stories that I was enamored with as a child. I loved the idea of the adventures that took place in Middle Earth. I wanted to meet characters like Bilbo and Gandalf, and I wanted to be a strong heroin just like Arwen. Now, what if I told you that our faith can be just like one of these journeys. Just like the ones that we see in our favorite books, movies, or stories. You might be thinking I’m a little crazy at this point. But, one of my favorite saints, St. John Paul II is quoted in saying, “Life with Christ is a Wonderful Adventure”. There is a moment in every story where the main character is posed with a question. Usually that question is whether or not to take on an adventure. Whether they’re off to destroy a ring, find a horcrux, or save the city from eternal doom, there is a moment when the main character consciously makes the choice to do the right thing. And often enough, we learn that the main character was destined to take part in that journey. We all have this moment. There is a moment where we are asked to join Christ on a journey. We are asked to accompany him on an adventure that we were made for. My faith journey started out like many others. It was quiet. I grew up on Long Island, went to public school, lived with my Grandma, Mom & Dad, big sister Julie, and went to Mass on Sundays. I played with neighbors as a kid, and loved to draw and write stories. For me, this moment of encounter didn’t happen as a child, at my baptism, first communion, or confirmation, but rather, it happened on a retreat, kind of like the one you’re on right now. I had had a couple of really rough years in high school. I was anxious, depressed, I had lost friends, and a boyfriend who I was too dependent on, and my Dad had moved out and my parents divorced. I was a senior in High School. I wasn’t living a life for Christ, even though I had gone to Church, to youth group, and volunteered my time to the poor and to the younger children at my parish. I was living day to day, trying to fake a smile, and act as though everything was okay. I knew that I wasn’t though. I knew that I was loved, but couldn’t grasp what that meant, or how it could affect my life. And so I went on this retreat. I didn’t particularly like going to youth group anymore, but out of habit, I went on the Spring Retreat. Ironically, or not so ironically, the theme of the retreat was “I will Follow” and we had to sing this awful song and do silly hand movements to it. However, I knew that being a scutch and remaining closed off was not going to be fun for anyone. So, I tried to be open and listen to all of the presentations and participate in the prayer services. Friday night we handed whatever was burdening us over to God by tossing a rock into the Long Island Sound. We were asked to quiet ourselves, and to think of what was burdening us. There were thousands of pebbles on the beach. We each picked up two rocks. One represented our burdens, and one represented a promise. We each threw our burden into the Sound, and held on tight to our promise. I began to open up then. But the true turning point for me was on Saturday night. I sat in adoration of the Eucharist, which is when the Eucharist is exposed in a gold stand called a monstrance for a prolonged period of time. I desired mercy; just like St. Matthew. I had experienced God’s loving grace in the sacrament of confession. And as I sat, for the first time feeling peace in front of the Eucharist, I cried, and felt a whisper in my heart to come, and follow Him. I felt an overwhelming sense in my heart that I was loved. Truly Loved. In that moment, just like St. Matthew, I got up, and followed Him. I was drawn into the mystery. I found Joy on that retreat. For the first time in a long time, I found joy in doing simple everyday things. I even found Joy in getting stuck in the mud of a small Long Island Harbor, after running after my friends onto what looked like solid ground. In case you were wondering, I did ruin my flip flops that day. I had no idea what this journey would entail or what my destination would be. To be completely honest with you, I still don’t know what the destination is. I can tell you, that since I decided to get up and follow Him, my life has truly been an adventure. I’ve gone places, done things, and encountered people that I wouldn’t have even thought possible in High School. But, I had to take that first step and climb that very high mountain. I had to leave my comfortable life behind, and like Frodo and Sam in The Lord of the Rings, I left the Shire. I started to take my volunteer work seriously. I was a volunteer with the Middle School Youth Group at my Parish. I played silly games along the way with middle schoolers and enjoyed it. I even let a 12 year old do my hair with shaving cream for the “Edge Kids Take Over”. It took a few showers to get it all out. I went on trips to places I had only dreamed about before. 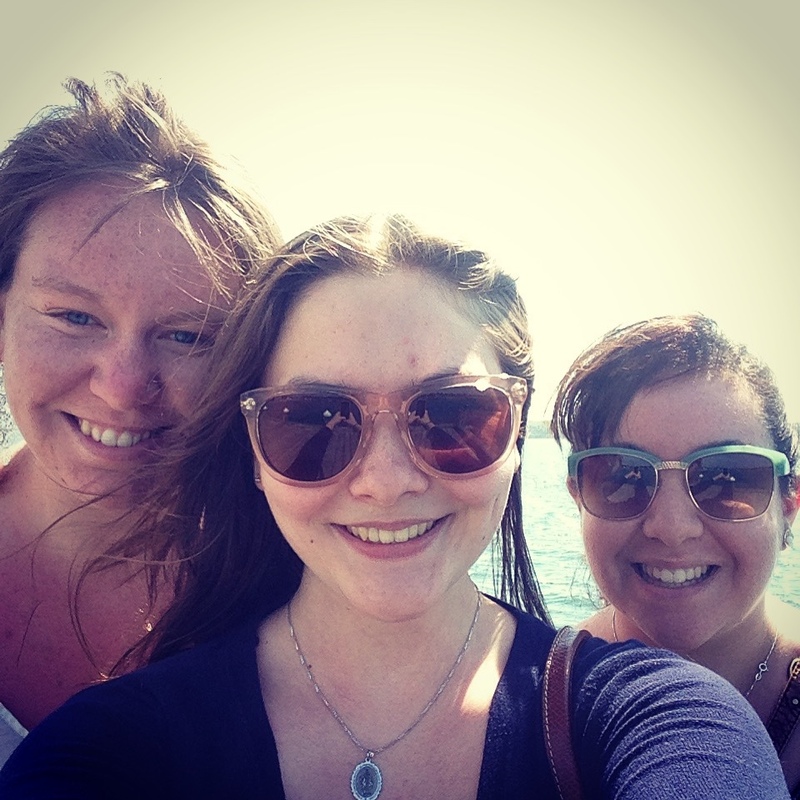 I walked the streets of Dublin and Paris with my Mom and sister. I took in the beauty of one of the world’s oldest book of Gospels, The Book of Kells, in Dublin, and I stood in awe of Notre Dame Cathedral in Paris. I went on pilgrimage to Madrid, Spain for World Youth Day 2011. I walked along the same cobblestone streets as St. Teresa and St. John of the Cross. I sat in the same churches as a Doctor of the Church. As a group, we went to Mass with various English-Speaking Cardinals, and eventually with Pope Benedict XVI. We stood and humbly waited in the rain, which was described as a hurricane over the announcer. There was obviously a mistranslation there. And we waited for the Pope to arrive. We met young Catholics from all over the world: Colombia, France, Iraq, Australia, Nigeria, and Malaysia. I found I had a friend in Jesus’s mother after I realized that each church I went into had the image that my Parish is named after, Our Lady of Perpetual Help. This still happens by the way. In college, I continued to follow Him along a path that I couldn’t quite see, and had some incredible experiences. I trudged through Washington DC in 10 degree weather as a witness to the beauty that Human Life is at the March for Life. 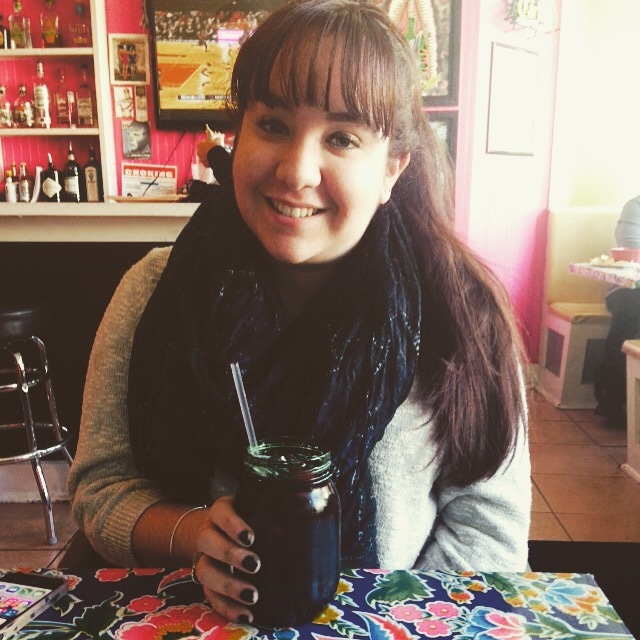 I studied in Galway, Ireland, after working up the courage to follow the desires of my heart and change my major from something that would secure me a job after graduation, to something that I truly loved: English Literature and Irish Studies. I sat in the middle of a country road in a town where there were more sheep than people, and appreciated the beauty of creation with a sunrise at 4am with some of my wonderful classmates. I took a bus and visited relatives that I had never met and shared in faith and tea and ice cream with them. We drove all over my Grandfathers hometown. I felt a little silly standing with that tomb stone in the rain, but I knew that these were the family members that gave me my Catholic faith, this was the church where my grandparents and great grandparents worshipped a God who is Love, and so I complied and smiled as a cousin I barely knew took my picture. I walked across the Peace Bridge in a city where violence was the norm for so long. I shared in the hurt that my cousins felt from the past, but also listened to their hope for their city and for their home. I quite literally crossed the River Foyle with them and was present as they shared their story and their heart with me. I traveled in a minivan, and my campus minister was pulled over by cop in West Virginia for going 83 mph, to a place that I had never been. There were mountains there. I served the poor of Appalachia in Beauty, KY with some of the most kind-hearted, loving people I know. The Lord helped me break out of my comfort zone by working with power tools and to truly be present with the people of Beauty. I was reminded by a cook that I met from Georgia, just how beautiful my soul was, and how she could see it in my eyes. I spoke of my love for Mother Teresa and the Catholic Faith with a nurse from the next town after she confided in me just how beautiful she found the Catholic Church, even though she was a Baptist. She met me with love, not judgment, just as Jesus had. I built a deck and a ramp that week along with 8 of my classmates and mentors. That is something I would have never thought I could do, much less that I would want to. My Dad still doesn’t quite believe it. Even in the mud that week, I found Joy. Will you get up and follow him? This presentation was given on the Sophomore Retreat: Faith Journey through CYFM. One Wednesday afternoon, Val and I left our away retreat on LI for Boston, MA. To save gas, mileage, and our sanity we took the ferry out of Orient Point. I absolutely loved it, and would totally do it again. It was beautiful. The reason for going to Boston was for an accepted students day (that we both went to) and we were able to go to Mass and tour around Boston. It was nice to see where I’ll be living for the next two years. Here I am, in Downtown Boston by the Harbour. And below, by the sign for my program. After finishing the accepted students program, we headed back to New York for a family retreat in the city. It was totally worth it because the friary had a cat named Bella. This literally made my week. I miss having pets around. At youth group that weekend, we played some silly games (that were really about Easter) and talked about the Resurrection. The following Tuesday, Sam, Fr. Tomas, and I drove west and spent the night in Pittsburgh. Here we had dinner with Sam’s family and saw the city. I don’t have any pictures from Steubenville (we were there for a career fair) but when we returned I went to a poetry reading with Fr. Bob. Then it was National Siblings Day, and my sister posted a picture. The today we had a great day retreat. It’s been a crazy few weeks– but I don’t think I’ve ever been to so many places in so little time. A week ago, the CCVs had a Youth ministry training in Queens. 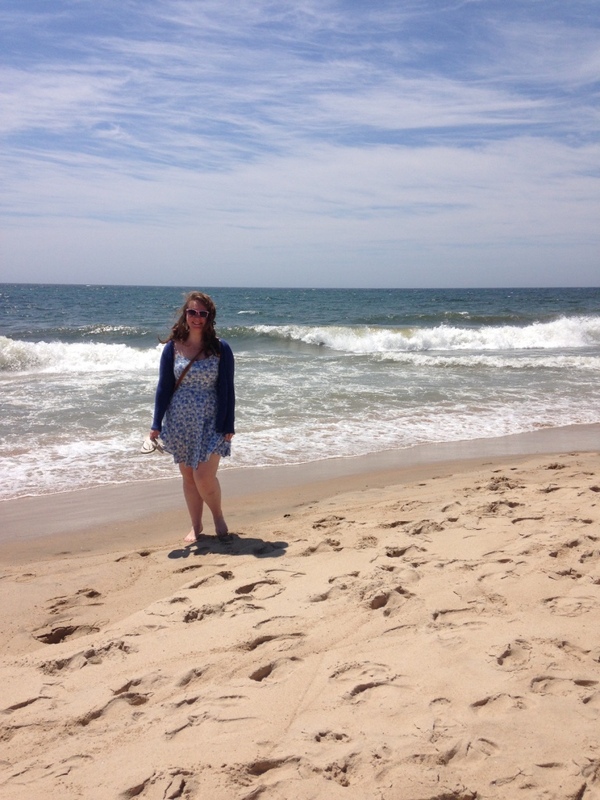 So, we took the opportunity to explore Long Island a little bit. Our first stop was Jones Beach, of course. After running to the water and walking around in the sand a little bit, we headed back to my home parish for the vigil mass. Then, we had a St. Patrick’s Day dinner with my Mom and Chris. Overall, it was a really nice day. And I was able to show my housemates some of the reasons why I love my home. I do love this little island. And sometimes, the thought of leaving it again, for a few more years, makes me quite sad. But I know that there will always be days like this one, when I get to come home on a whim. Days where we can drive out, and look for beach glass on a small strip of sand for as long as we see fit. Home is wherever we are if there’s love here too. Spread Love wherever you go, let no one ever come to you without leaving happier. But for real, we drove out to one of our favorite places on Long Island. 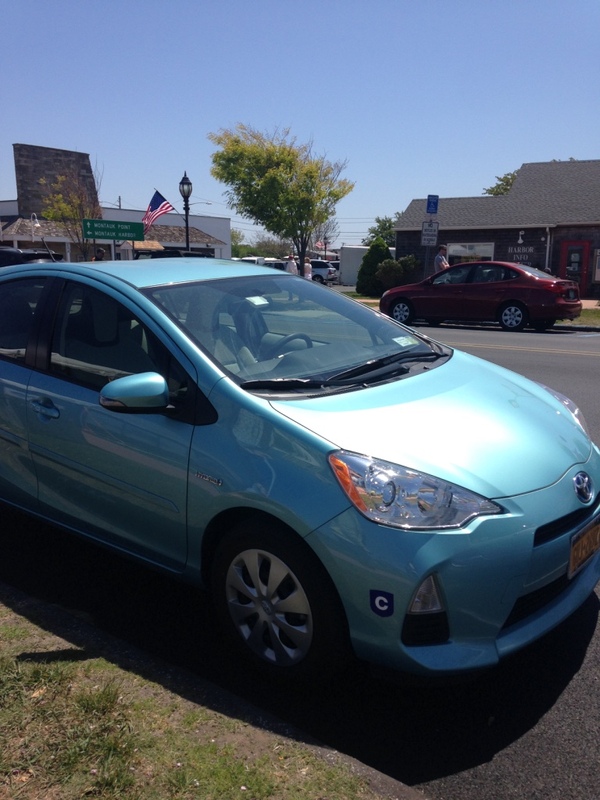 Greenport was bound to be bustling, so we stopped there briefly to take out cash so that we could visit Lavender by the Bay in East Marion. To the eye, it was beautiful, to the nose, it was delightful. Even the little busy bees were content. 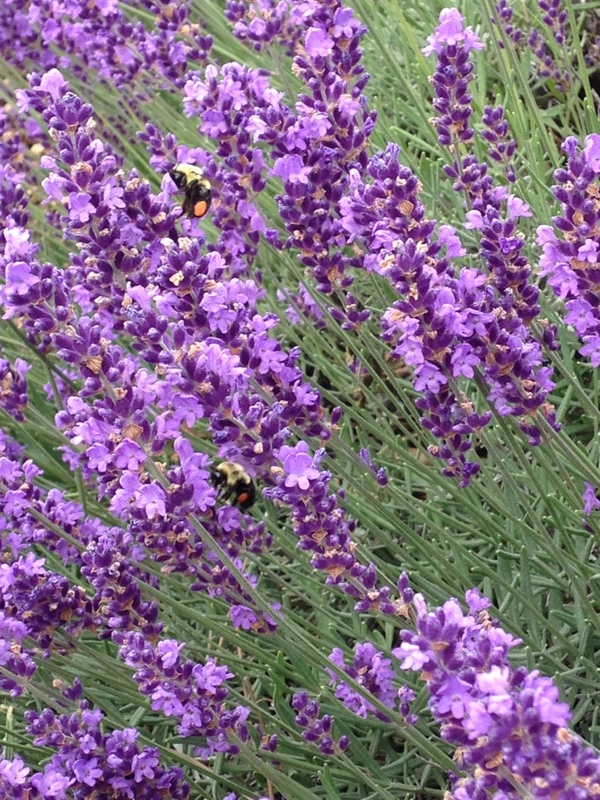 They were too busy checking out the lavender to pay attention to the people walking by. 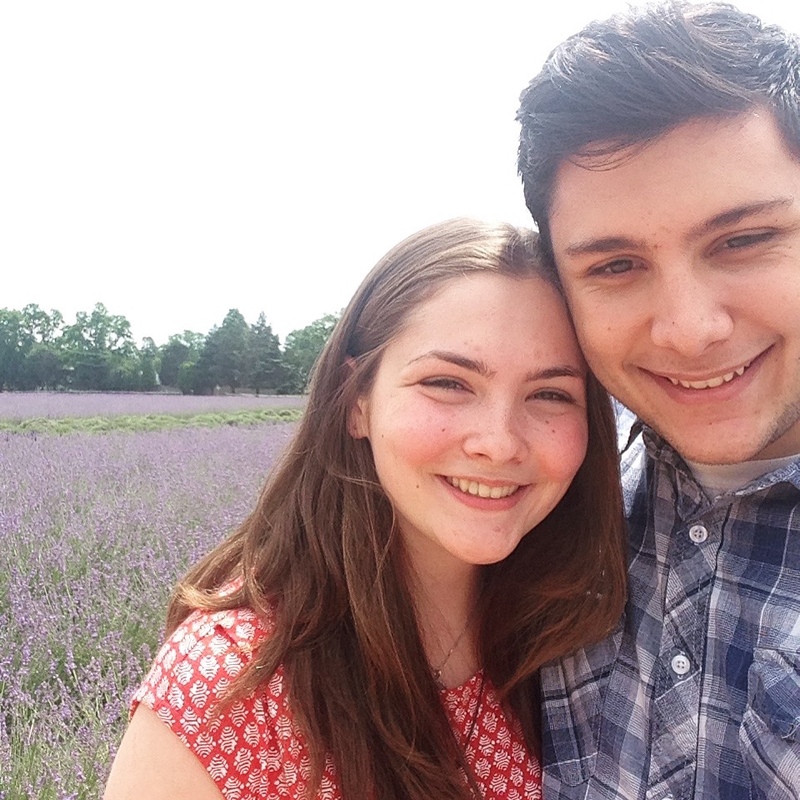 The little shop was bustling, so we decided to walk through the fields first. We decided to keep our day low key, and this farm ended up being the best way to celebrate. 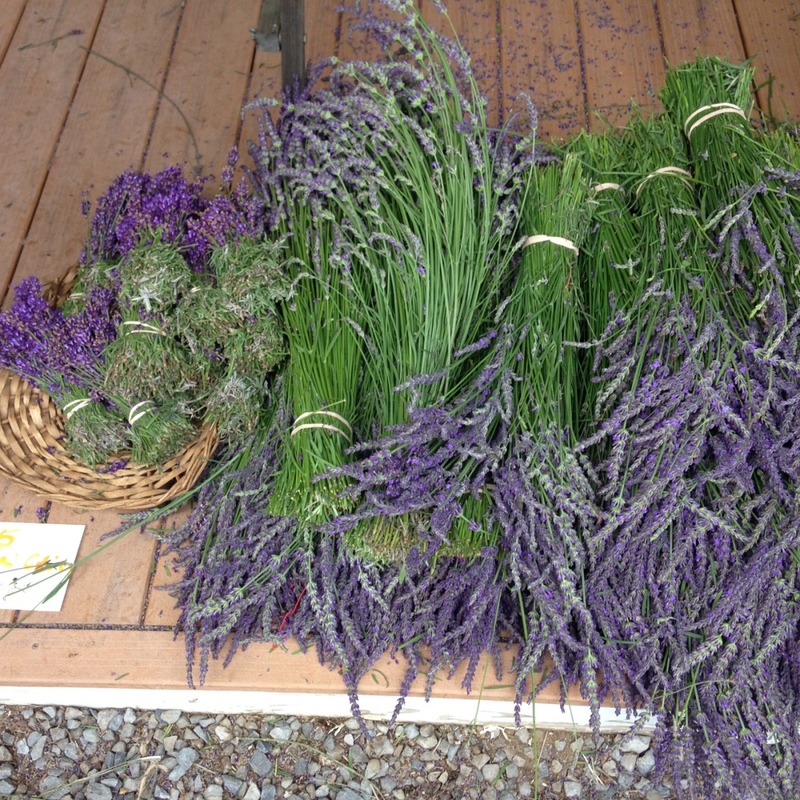 In the shop we decided to pick up some dried lavender and soap for mom, and had enough left over store credit to get a post card. Then we walked next door to have a late lunch at The Blue Inn. One day I would love to stay there, but having lunch was absolutely wonderful. The food was awesome. To start we had fried brie with cranberry. That was incredible. I love cheese, but this took cheese to a whole new level. For lunch, Chris had cod and I had an open chicken sandwich. Both of our meals were specials of the day, and we weren’t disappointed. To say that I am grateful for this relationship would be an understatement. A few years back, I read that marriage is learning to love like Christ. While we are not married, this still holds true. This relationship helps me to love like Christ each day. That’s a selfless kind of love. It’s funny, because we basically wrote the same thing in our cards to one another. We essentially wrote that our relationship is strong and beautiful because it is rooted in Christ, and we have grown in Christ, together over these past four years. It’s a beautiful thing. Now, as many of you know, Brittany is an old pro when it comes to Ordination Season. However, over the past few years, I have been away during this joyous time! This year was the first I was actually able to attend our Diocesan Ordination. This year, it was held on June 20, the day before Fathers Day. We left for the Cathedral around 9:30 in the morning. We arrived an hour before the mass was supposed to start and the Cathedral was bustling! It was so crowded, but it was so good to see so many people in attendance to pray for these men. Also, our Cathedral is being restored. So far they have completed the altar, and it looks incredible! Below are some picture from that day. I think overall my favorite part was when the men prostrated themselves on the floor, closely followed by the priests laying hands on each of the men being ordained. Ann Marie receiving her first blessing from the newly ordained Father Andrew, who served at our Parish a couple of summers back. Last but not least, my first blessing. To be honest with you, it was probably one of the coolest things I’ve experienced. You may have heard of them last month. DRVC’s Vocation Director along with a few seminarians and priests biked 1400 Miles to pray for vocations with various youth and young adult groups along the East Coast. Here is the USCCB’s guide for the Holy Hour for Vocations, which is held throughout many dioceses. Not that I’m biased, but our Diocese does Holy Hour for Vocations pretty well. Each month, about 300 youth and young adults gather to pray for vocations, play dodgeball, and peruse various booths set up to support Vocations. Here is the link to their Facebook page if you need some inspiration! Dear Saint John Vianney, your childhood dream was to be a priest, to win souls for God. You endured years of toil and humiliation to attain the priesthood. You became a priest truly after God’s own heart, outstanding in humulity and poverty, prayer and mortification. Totally devoted to the service of God’s people. The Church has exalted you as model and patron saint of all Parish Priest, trusting that your example and prayers will help them to live up to the high dignity of their vocation to be faithful servants of God’s people, to be perfect imitators of Christ the Savior Who came not to be served but to serve, to give His Life in ransom for many. Pray that God may give to His Church today many more priests after His own heart. Pray for all the priests under your patronage, that they may be worthy representatives of Christ the Good Shepherd. May they wholeheartedly devote themselves to prayer and penance; be examples of humility and poverty; shining modelss of holiness; tireless and powerful preachers of the Word of God; zealous dispensers of God’s Grace in the sacraments. May their loving devotion to Jesus in the Eucharist and to Mary His Mother be the Twin Fountains of fruitfulness for their ministry. Amen. I think that y’all know how much I love the North Fork of Long Island. Over the past year, I’ve been out there about five times. 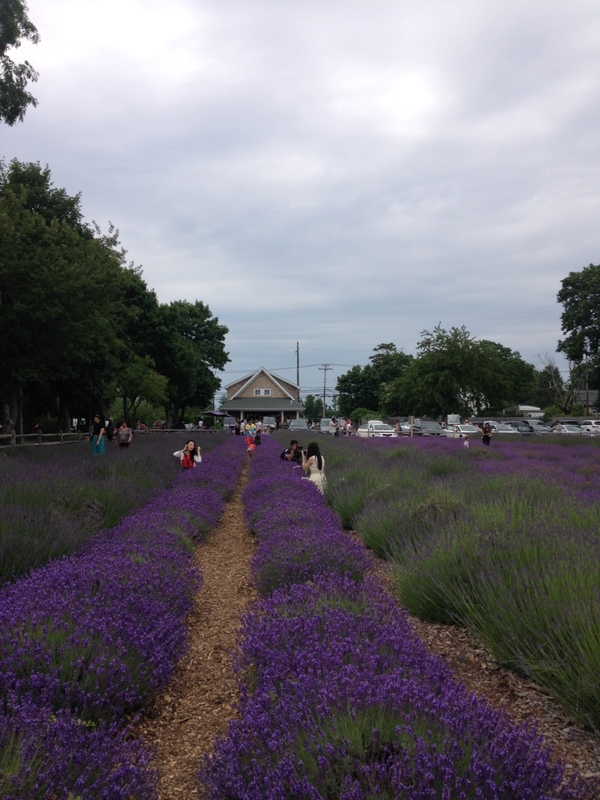 I’ve written about it in The East End, Greenport: my little slice of paradise, Agape, Lavender, and A Day in Greenport. As I said in my last post, my friends from high school have been home, and we decided to explore LI a little bit. 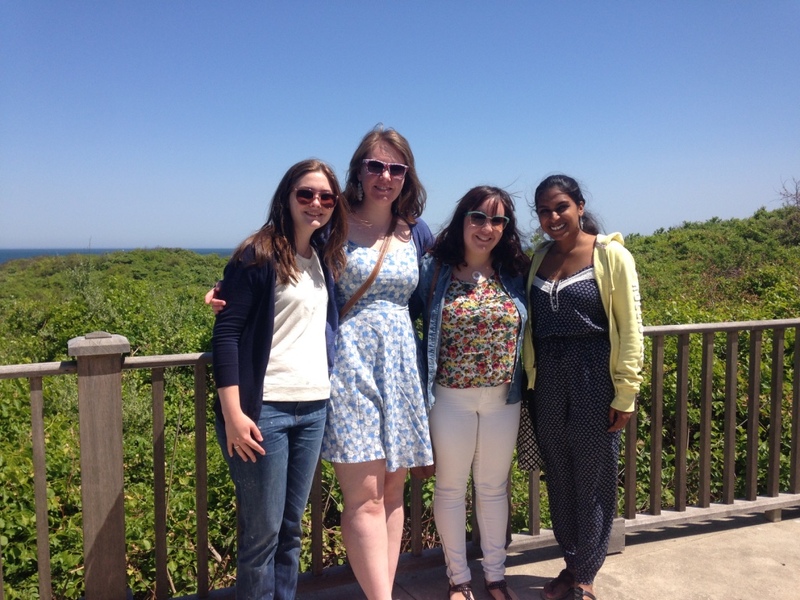 Tuesday, we went to the North Fork and explored Greenport a little bit. 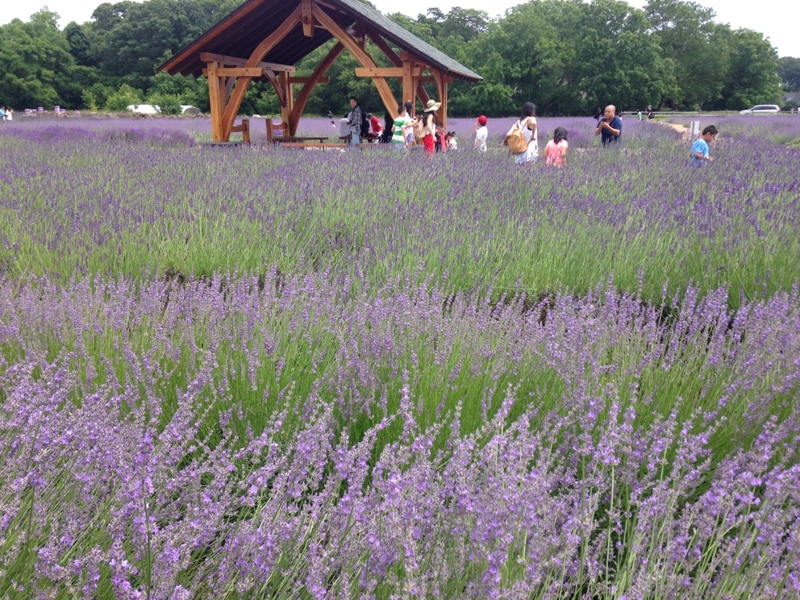 Originally we wanted to visit Lavender by the Bay, but sadly it was only open on the weekends in May. (next time though) So, we walked by the water while we waited for this sleepy little town to wake up after a busy Memorial Day Weekend. We wanted to go to Lucharitos for lunch, but due to renovations, they were closed for the day. 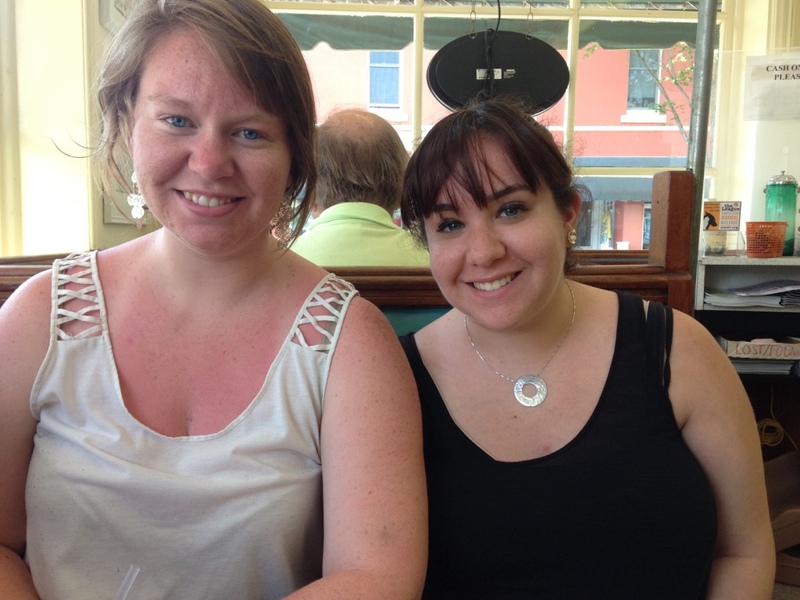 So, we ended up at a cute little luncheonette where we each had a delicious meal. I had pulled pork, Megan had fried chicken, and Sandi had fish and chips. I love the East End. Whenever people are home, they want to explore the natural beauty that this very Long Island has to offer. So early Sunday morning, we set out for The End. 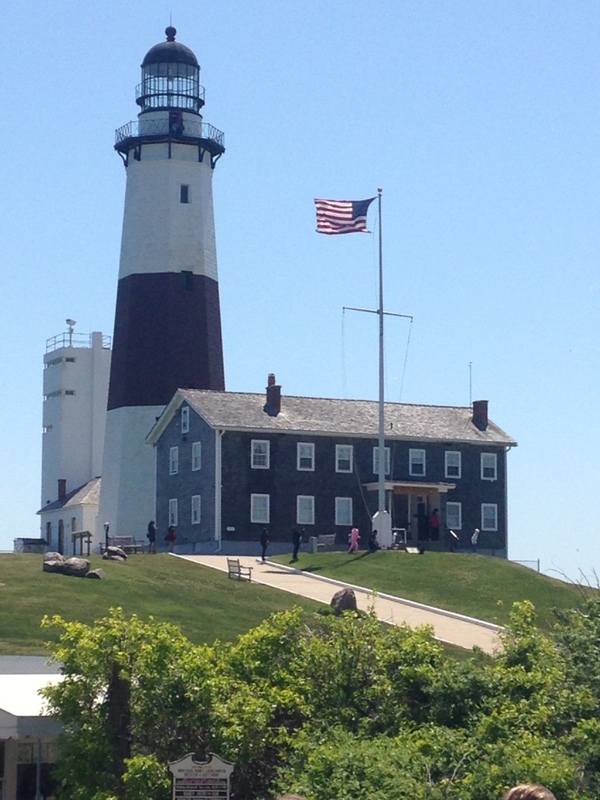 Montauk, NY is the last town on this Island, and is a huge attraction for locals and tourists alike. We started our day with bagels and iced coffee. We drove all the way to The End, and spent a couple of hours at the lighthouse. We decided not to spend the money and go into the lighthouse (because we’re all new graduates who don’t have jobs) but the state park that surrounds the lighthouse is gorgeous and definitely fulfilled our needs. Also, you can see the lighthouse from almost anywhere in the park. After spending some time at the lighthouse, we drove back into town. There we walked around, and eventually ended up at the beach. Being that it was Memorial Day weekend, the place was packed! However, I had to parallel park (but check out that parking job!) We spent some time here and figured out our next step. 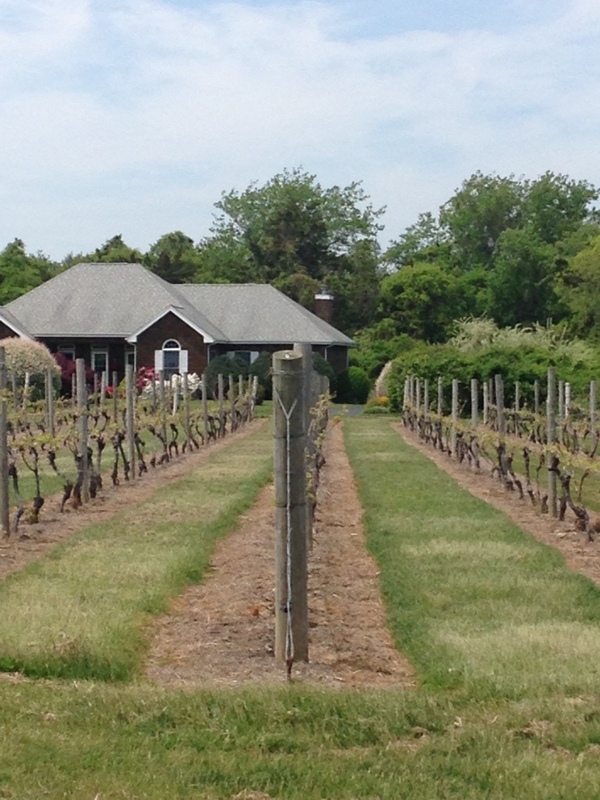 We passed a few vineyards on the way out to Montauk, so we used our trusty smartphones, and found one that we wanted to visit! 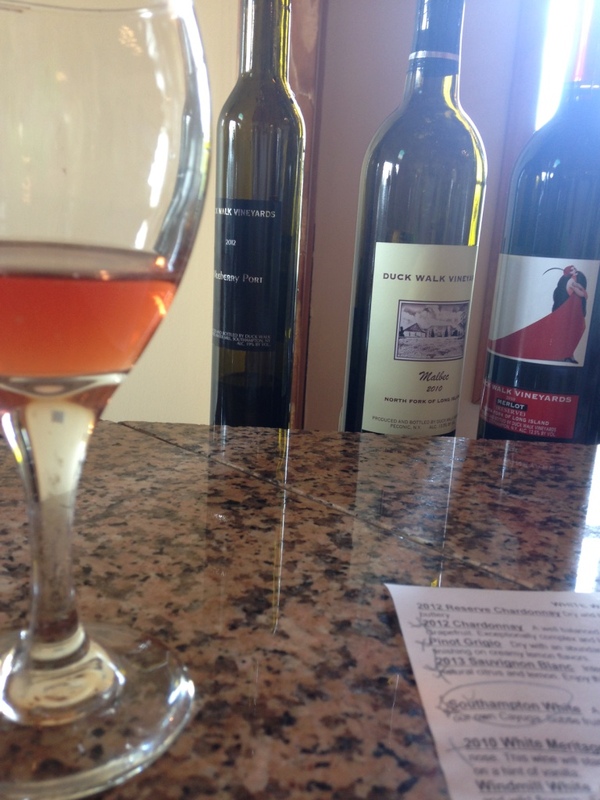 And so we ended up at Duck Walk Vineyards. It was beautiful! And this place was totally cost-effective for a group of post-grads. To taste five wines, it was only $8. Yea, I know. It was great. 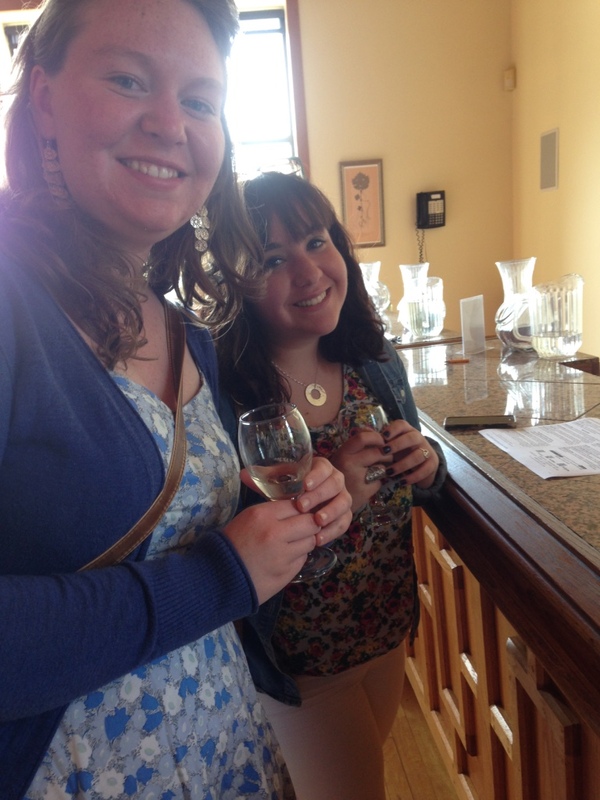 So we took our time, tasted some local LI wine, and some purchased gifts. I would love to go back here one day and take advantage of their outdoor seating. They had chips, pretzels, hummus, and cheese for sale inside. I didn’t realize it at first, but you can buy some snacks, a bottle of wine, and sit on the vineyard property while a folk singer plays guitar. 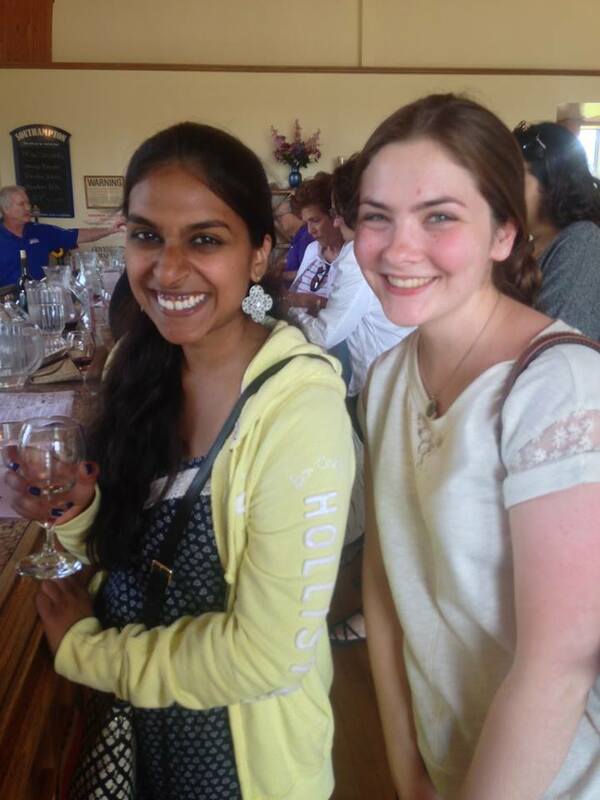 My first time at an LI winery was a success. So this is only Part One, because a few of us took a ride out to the North Fork on Tuesday. So stay tuned for that post! Do you have any favorite local road trips? I’d love to hear about it! I’m always looking for cost effective day trips to take! It’s probably one of my favorite things to do! So, for the past year or so, I have had this affinity for the East End of Long Island. So much so, that most of my friends are aware that I will drive out there at the drop of a hat. One of my friends took me up on that. I received a text on friday afternoon asking to go out to the North Fork on Saturday. Of course I said yes. She is finally home for good from school. On top of that, she just found out that she’s going to Columbia next year… So we celebrated, and she had delicious sangria. Congratulations, Sandi! 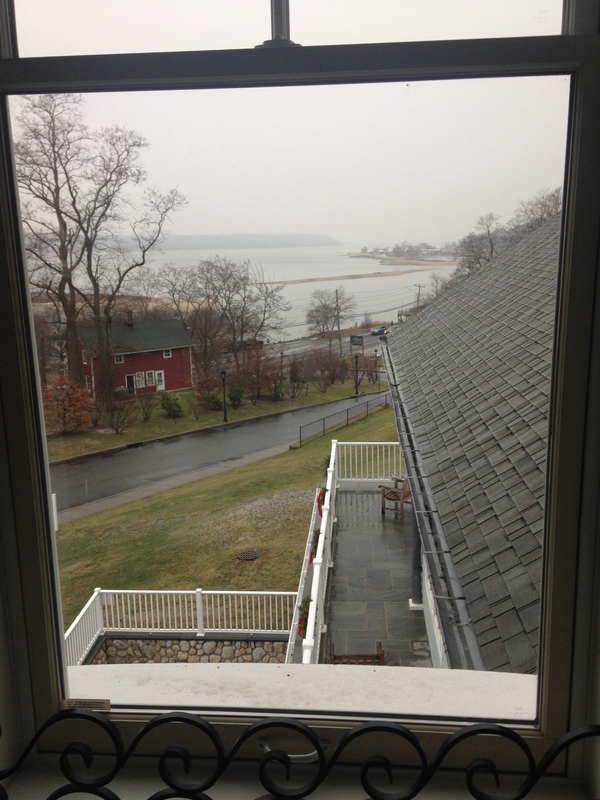 We arrived in Greenport at about 1:30 in the afternoon. So our first stop was my favorite Mexican restaurant. 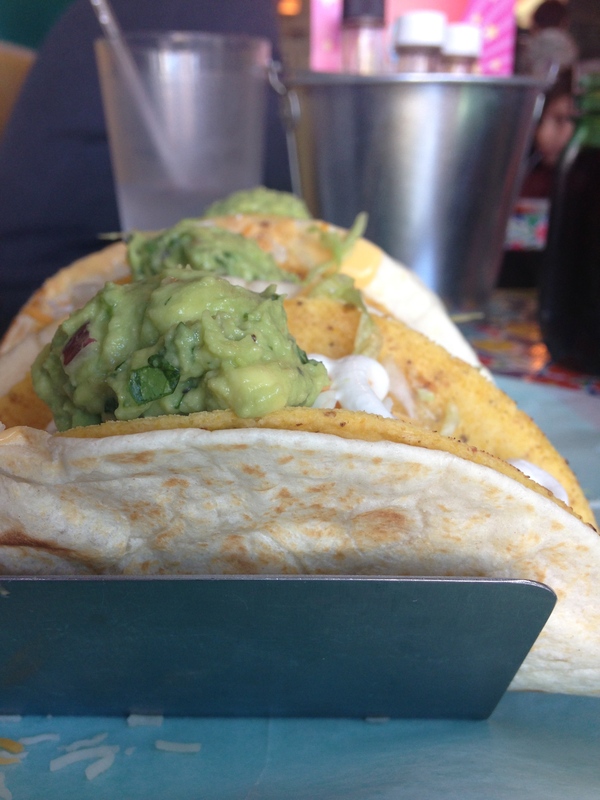 It’s called Lucharitos and it is the best little restaurant in Greenport. We actually went on a good day, because they will be closed for the month of March. Now, this isn’t because of a lack of business during the off season, its because they’re expanding the restaurant! Sandi is the fourth person that I have brought to this little joint on the edge of LI. Well, apparently it lived up to the hype! I’m glad that she loved it as much as I do. Our next stop was Burton’s Bookstore. A friend bought this store at the beginning of this year, and is slowly renovating it. 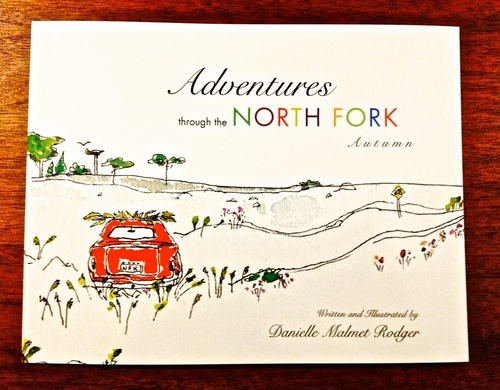 I bought an awesomely, beautiful childrens book called, “Adventures through the North Fork- Autumn.” Scott (the owner) was telling me that the author of this little book lives in Greenport and has some pretty cool prints as well as other books. Here is an image of the book from Danielle Malmet Rodger’s website. I’m really excited to look into some of her other work! After perusing the book store, we went next door to The White Weathered Barn. 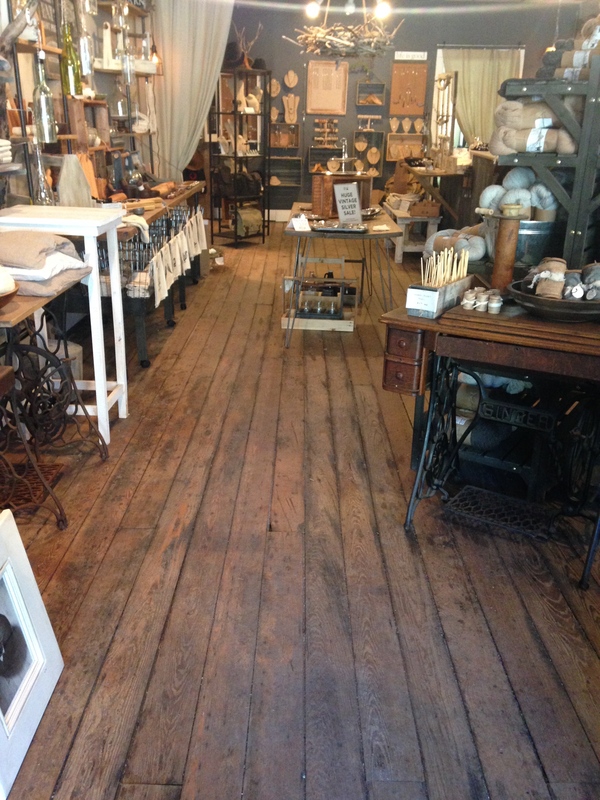 We walked around this eclectic shop and looked at all of the locally made products. I love going in here. I bought myself a small print of Long Island, which I hope to frame for my desk at home. Long Island is special to me, and now I’ll always have a reminder of where I come from. If you’re interested in reading more about the East End, I’ve blogged about it here, here, here, and here. I can only imagine what it looks like on a beautiful, sunny day. After we walked around the entire library, we sat down to read. For a rainy afternoon, I would say that we had a pretty good time. Exploring this old library was worthwhile (for me). I can’t wait to see it again in the Spring!